The only thing better than Chris Pratt's 'Vanity Fair' photo shoot is his hilarious commentary. Chris Pratt knows that it's important not to take yourself too seriously. 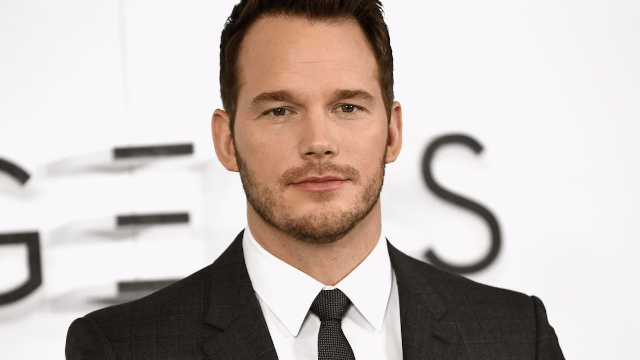 So, when the images from his recent photo shoot with Vanity Fair emerged, Pratt was quick to post them on Instagram with his own hilarious, self-deprecating commentary. Here's Chris Pratt on the cover of Vanity Fair. "Quick question... If a train of thought left my phone going 80 miles an hour due east- would it still be douchey to post more pics from my @vanityfair shoot?" Pratt wrote. He provided some insider behind-the-scenes commentary about what was REALLY going on. He brought his own race car to a photo shoot. Fascinating. If only we could all look as good as Chris Pratt does when we're casually sniffing our knuckles. And of course, no commentary would be complete without witty anecdotes. Well, it's a good thing that Vanity Fair photographer found Chris Pratt wedged between those rocks. Who knows how long he would've been stuck there? Here's hoping Pratt will provide Instagram commentary for all his photo shoots from this point forward.